This article will be delivered to your Inbox within the next 15 minutes. In life, at any given moment, we are either empowering ourselves or we are disempowering ourselves. Empowerment and Disempowerment, are not always conscious choices. Most of the time, we are unaware of the choices that we make in life that result in the draining of our Personal Power and Life Force. 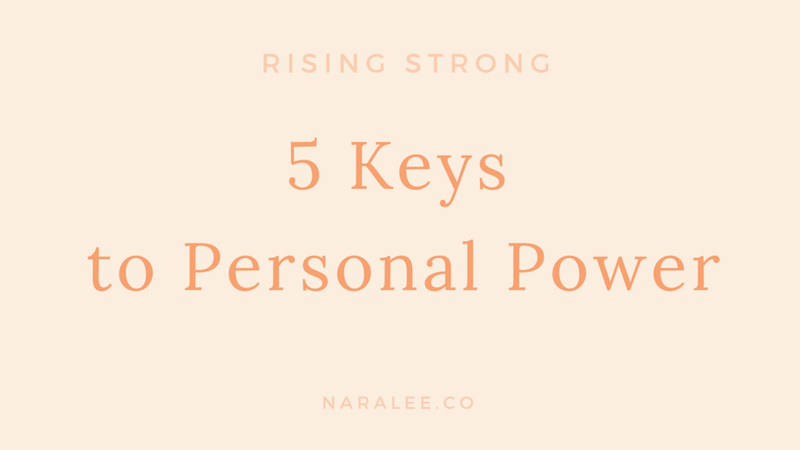 Becoming aware of what these things are, is the first step of the journey of Personal Power. So how do you become aware of whether something is empowering or disempowering to you? You always have to ask yourself, "is this something is building me up or is it breaking me down?" Are the people in your life, supportive of you, encouraging of you, or are they always throwing comments and acting in ways that make you doubt yourself, make you feel small, angry, or annoyed? Are the people in your life, trying to help you and boost you up, or are they trying to get you to shrink? Are the people in your life, people who love you unconditionally, or does their love for you have conditions? Are the people in your life, offering you constructive criticism, to help you grow, expand and become a better person, or are they offering destructive criticisms that cut you deep like a razor blade? Here is the thing: Life is short. In the short period that we have here on earth, we all have work to do. You were not just born by chance. You were born for a reason, and you have a mission to accomplish, here on earth. Whether you know what your mission is or not, or whether you are simply doing your best to find your way through life, and figuring things out, the people that are in your life should be supportive and encouraging of you, your journey and everything you are trying to accomplish. They should be offering you constructive advice and constructive criticism to help you be a better and stronger person. Empowerment comes from you to you. But in addition to that, you must be surrounded by people that also make you feel empowered. Anyone who consciously uses words and actions that bring you down, make you feel small, or like you have to walk on egg shells, and disempower, should not be part of your life - even if they are family, boyfriends, girlfriends, friends etc. Many times when we fail to care, to look at, or pay attention at any specific area of our lives, we are essentially brushing it under the carpet, because we just don't want to look at it, or because this thing is a bit 'frightening' to us, because we don't know how to deal with it, or how to handle it. Most of the time, this area, is the area of your life, that will give you the highest amount of growth and transformation, but for as long as you fail to look at it, and brush it under the carpet, it will become as source not of peace and empowerment, but a source of disempowerment. Any time, you fail to look at something in the eye, no matter how much you "don't care" about it, how much you "don't like it", how much you "don't want to play the game of life", how much you "hate it or despise it", that situation will hold you hostage. It will own you, you will not own it. You cannot win at any area of your life, where you don't pay its dues - this means, you need to honour it, pay respect to it, and pay it's dues - do what it takes to get this area transformed, fixed, or showing up in your desired outcome. You cannot have a desired outcome, without the initial input and effort. This area can be your body, can be your finances, your nutrition, your relationships, your health and mental wellbeing, etc. Anything you fail to look at in the eye, and make a commitment to master, learn its lessons and decide to win, will own you. By the time you become aware of it, it may have gone too far. My advice for you today is: whatever area or circumstance in your life that you are scared of - look at it in the eye, decide to solve this frightening puzzle, and win the game. You can have, be and do ANYTHING you want. Don't let any frightening part of your life scare you. Every time that you commit more to others, than you commit to yourself, you are falling behind, and will need to catch up. It is wonderful to love others, to give to others and to be of service. But YOU are not a machine. You are a human being, and very much alive. This means that to perform and give at your best, you must first, BE, at your best. You must be, your best self, mentally, physically and emotionally. All parts work together, to make the whole. This requires, a daily commitment to yourself. To honour, love, and respect yourself - in all areas of your life. Commitment to Self means " I am commitment to being the best version of myself". You are not competing with others, you are focused on becoming the best person that you can possibly be, for yourself. From this abundant self, you can then overflow your riches to everyone else. But first, you must Rise Up to your Highest Potential. You must Rise Strong. And share from a place of power, rather than, from a place of neediness. For centuries, the ancient Gods and Goddesses, lead nations and empires, through honoring and connecting with a power greater than themselves - the Power of the Divine. 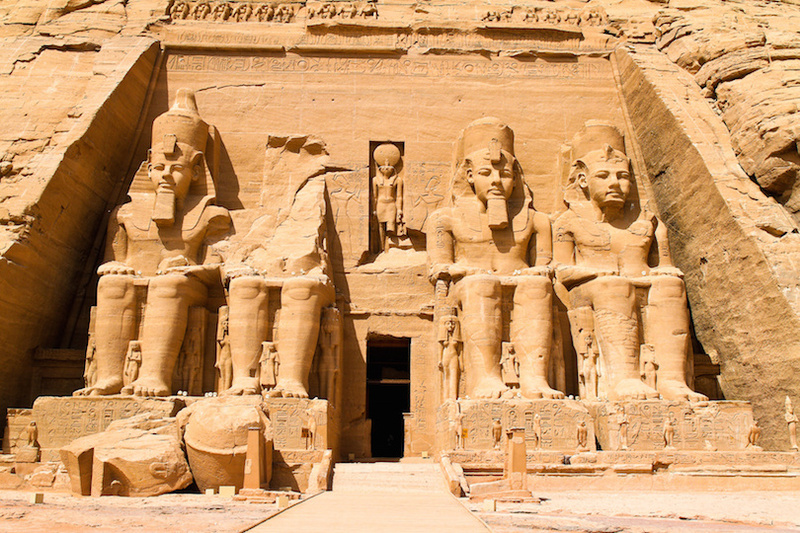 Ancient Egyptians built magnificent temples, in honour and celebration of God. They were not Gods disconnected from God. They were an expression of God, here on earth - they remembered their True Source of Power. We are the only nation who seems to believe that we are our own gods...we are not. God breathes life into you, so you can then go on, and breathe life onto others, make the lives of other better and the world a better place. True Empowerment, comes by crucifying the ego, letting go of layers and layers of the false self, and finally reconnect, with our True Source of Power. And living from that connected place. Imagine that you trying to run a marathon. But instead of finding your full strength and power to run that marathon, something held you back. It's like trying to start a car, you press the accelerator, and the car is not moving, it is not going anywhere. You give it a push and it manages to drive slowwwwwly, just to the next block. But the place you have to be, requires more drive, more speed, and full functioning healthy car or body. You want to go there, but now you are stuck. This is the classic tale of holding on to anything that drains your power and life force. By anything, I actually mean everything. It's negative people and influences in your life. It is holding onto an limited image of yourself that instead of delivering your goals to your table, it keeps you from even going after them. It is that partner that supposedly is "supposed to" be supportive, encouraging and loving, but is instead abusive in words, actions and even physically. It is that booze, or substance that gives a temporary high - a false sense of empowerment- and long term, it beats you to the ground. The ultimate act of empowerment is letting go of EVERYTHING, not just anything, but EVERYTHING that is holding you back and down - people, things, circumstances, habits, thoughts, beliefs. Whatever is keeping you from your North Star, must go. This sounds way easier said that done. When you are in pain, or going through a dark moment, you want to see the Light, and you want a way out, but you can't see nothing. If you feel called, to make a RADICAL change in your life, by evicting everything that no longer serves you, you may enjoy our next class, called Pain into Power. If you want to hold on to your pain, well...then this class is not for you.